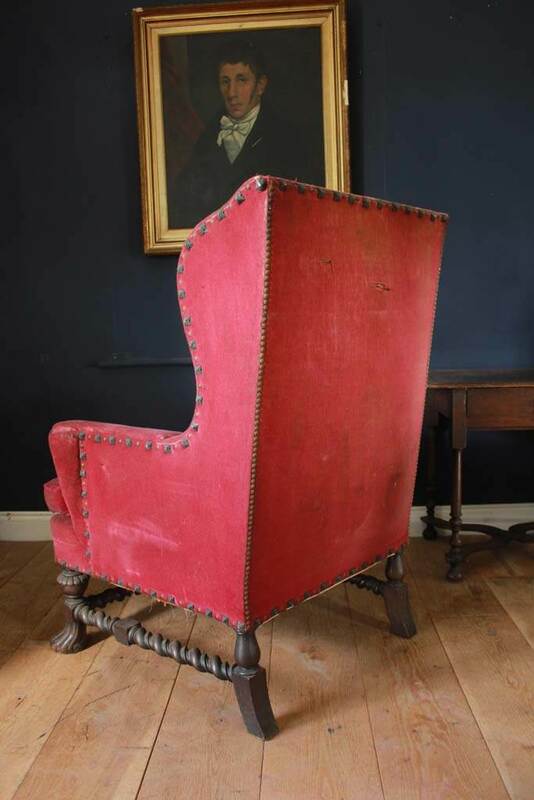 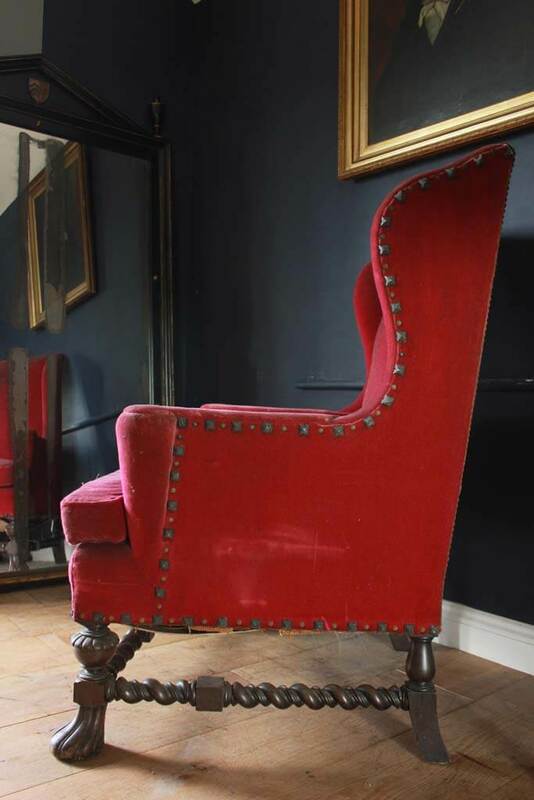 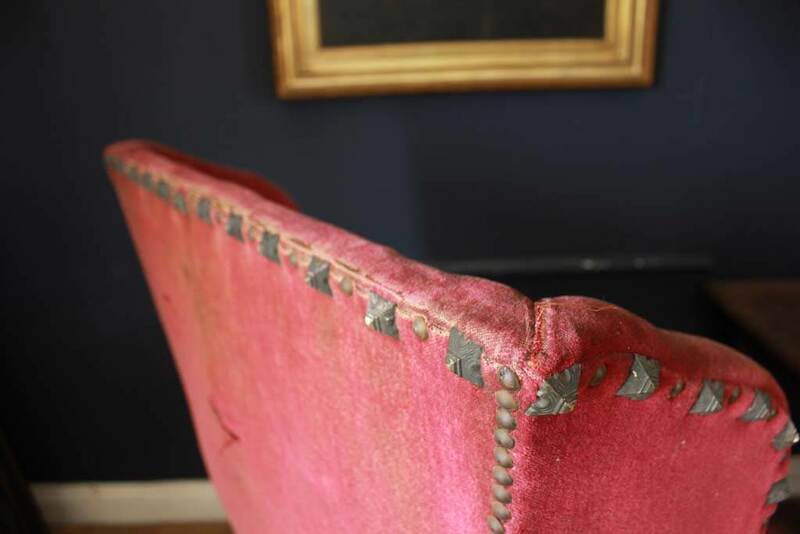 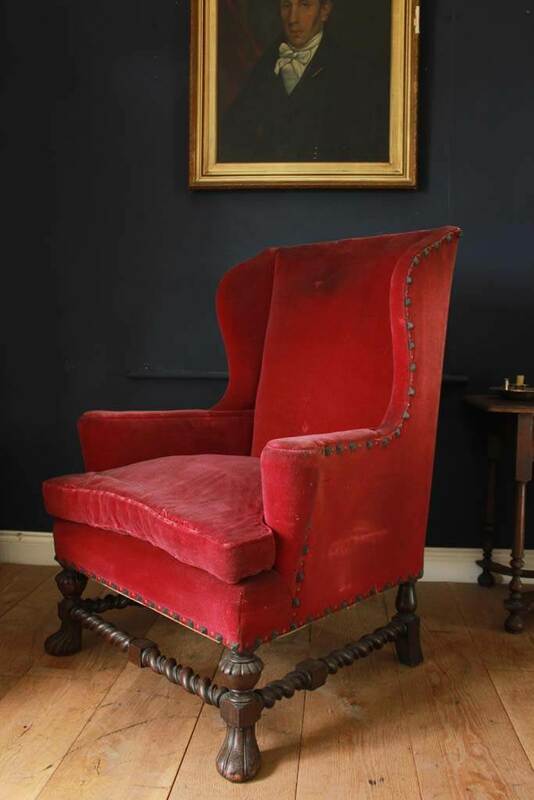 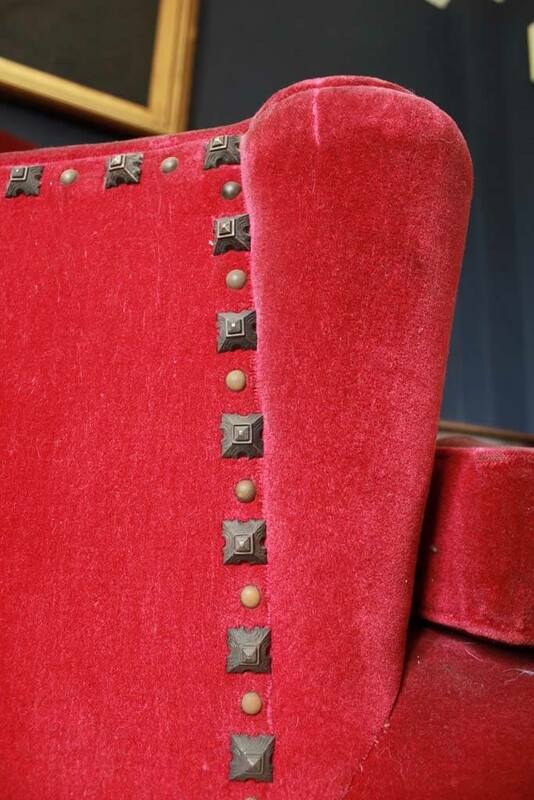 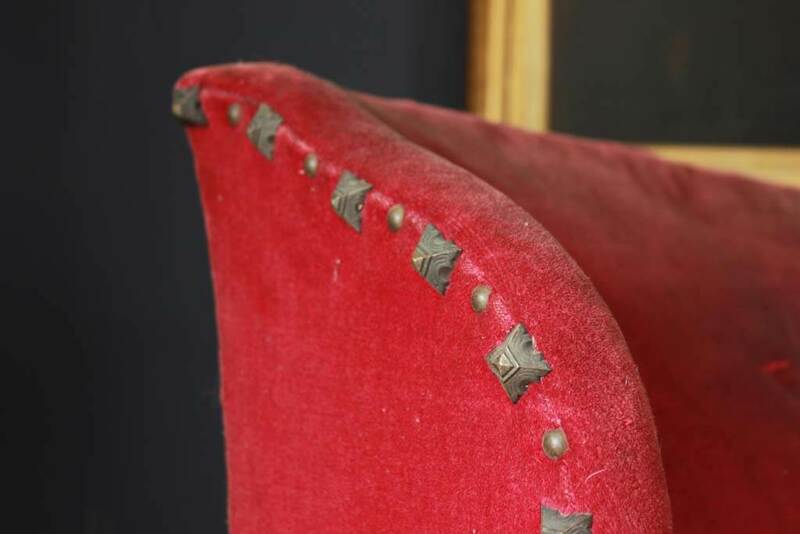 Early 19Th Century Velvet Wing Chair. 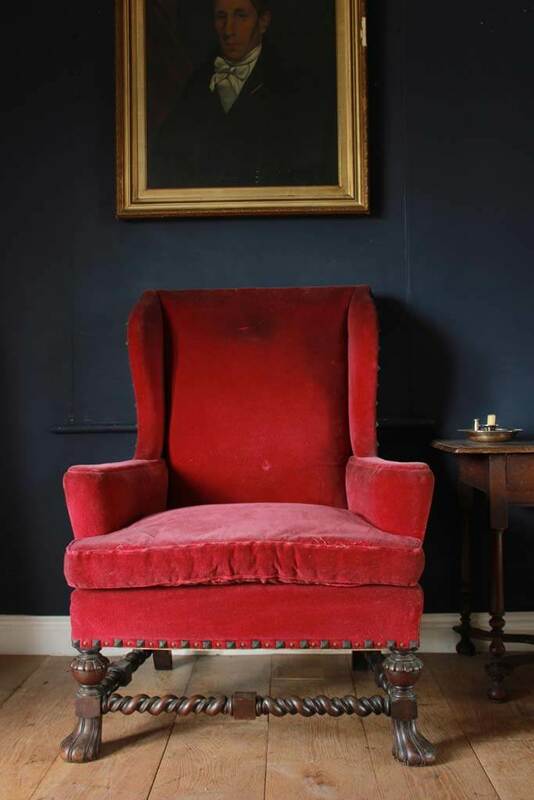 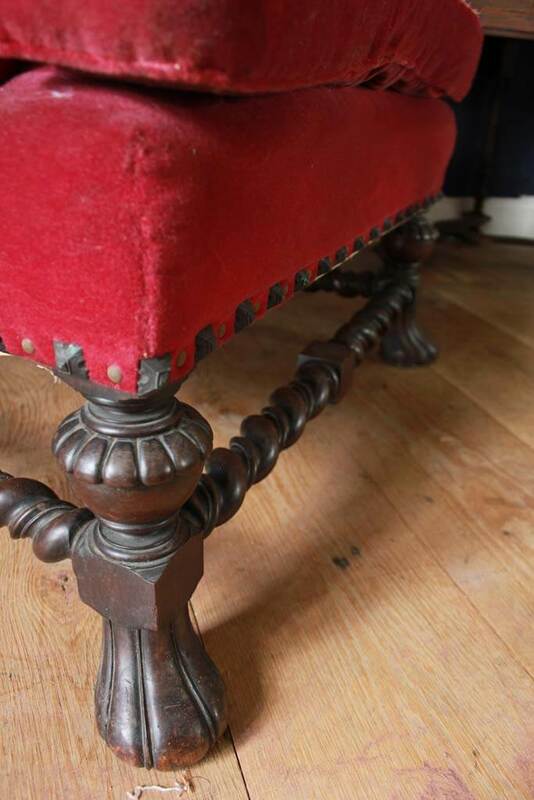 A fantastic early 19th century wing chair (circa 1840) in its original mohair velvet with amazing brass stud work which has aged beautifully,the seat is very generously wide with swab cushion, standing on a very high quality rosewood leg fashioned in the Jacobean style. 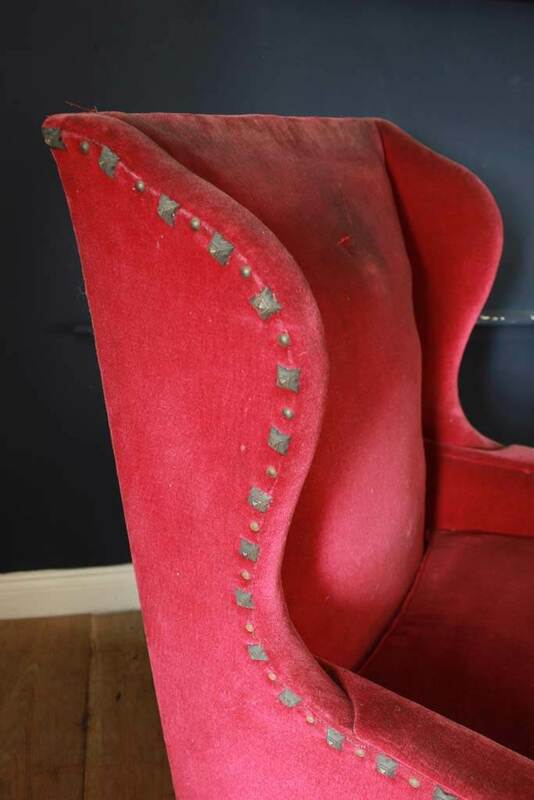 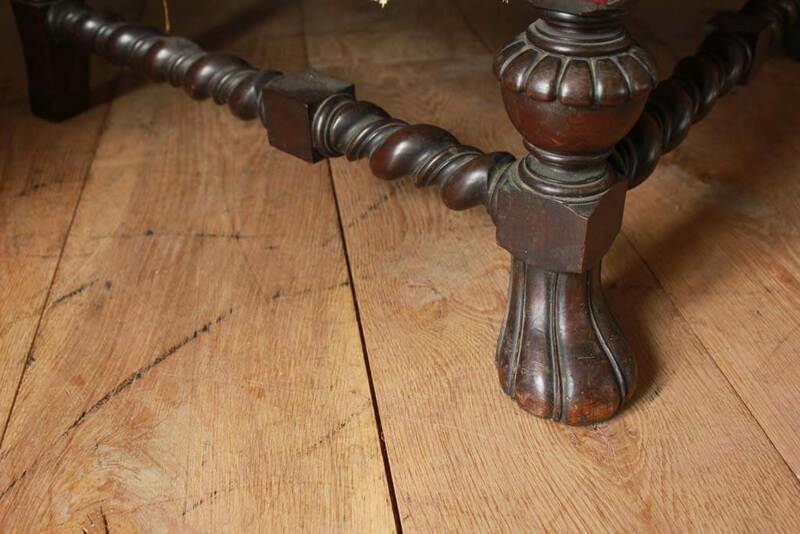 This chair is in original untouched condition.